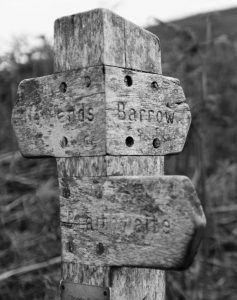 So which of the Wainwrights are good for children, some of our prospective guests have asked us. 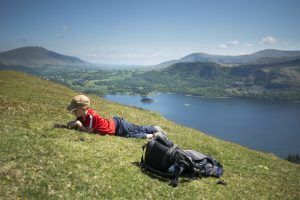 Well, Catbells is a must for all ages. We have only been here a few weeks now and have been up four times – we love it. You can see it from three of our rooms (clearly when there are fewer leaves on the trees!) and it is such a lovely shape. We have tried it from the popular North end (where you will see everyone and their dog enroute) and from the quiet South-West end (which was magical as we were the ONLY people there). 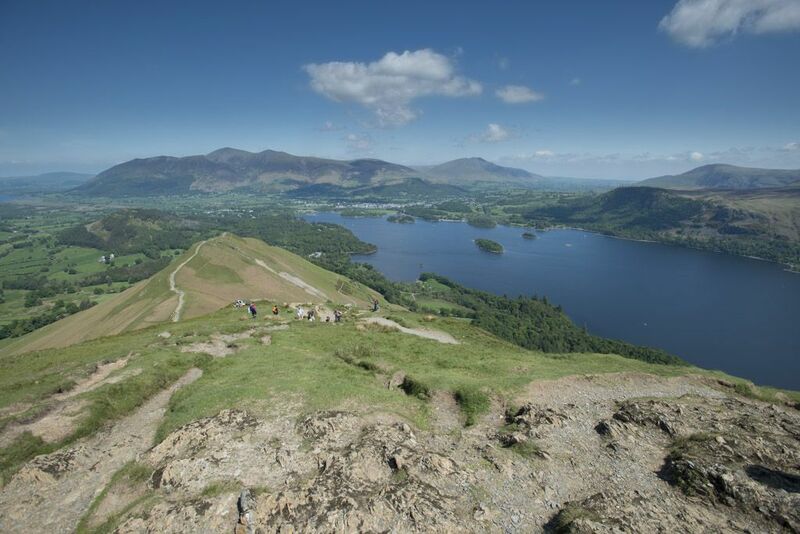 The North end is really the winner as the views are spectacular from an earlier point, and it really is fun doing it with the crowds – seeing such a range of ages, shapes and footwear (the latest hiking gear to the latest fashion statement) appreciating the magic of the Lakes is great. Having said that the South-West side has the draw of the fabulous Little Town Café – a glorious spot, amazing views, lovely garden (with a trampoline for the children), an alcohol license and delicious food. What more could you want in life? Barrow was the next we had to try as we can also see this from three rooms. I had not examined the outline before we walked it, but it has the most enchanting shape – a long invitation to the summit, you feel as if you really will never get there as you are ‘almost’ at the summit for ages – something our group of kids from 5 to 9 thought was wonderfully exciting. And the gentle walk back down was great for us too – with sheep and moths to discover on that lovely May evening. What made the trip extra rewarding was buying fabulous cakes from the wonderful Braithwaite village shop at the start of the walk and finishing at the Coledale Inn for a well earned drink! 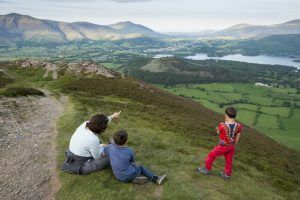 A special bonus for our guests is that you can avoid any parking issues by walking to Catbells and Barrow right from our front door or, if you want to make the day even more memorable, you can add a boat trip from Nicholl End to Hawse End. 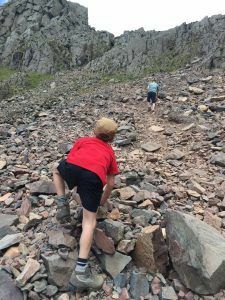 So what other Wainwrights are good for children? This may come as a surprise but the other one our 8 year old son has ‘bagged’ is Scafell Pike. It’s certainly a challenge, so make sure you take plenty of water and provisions. And do take care: there was a nasty accident while we were there. But the steep, almost vertical climbs, including scree slopes, were the most tremendous fun for Robert and his pal Xander. Their sense of satisfaction and the confidence they achieved from the climb, the highest in England, was simply brilliant. Our son was born with talipes (club feet) and so we feel especially proud that he made it to the top. Mum and Anna were also very proud we made it up two thirds of it and apparently saw the best views! Our move to the Lake District is proving to be a real adventure, everyday seems like a holiday and we feel tremendously lucky to be living here.